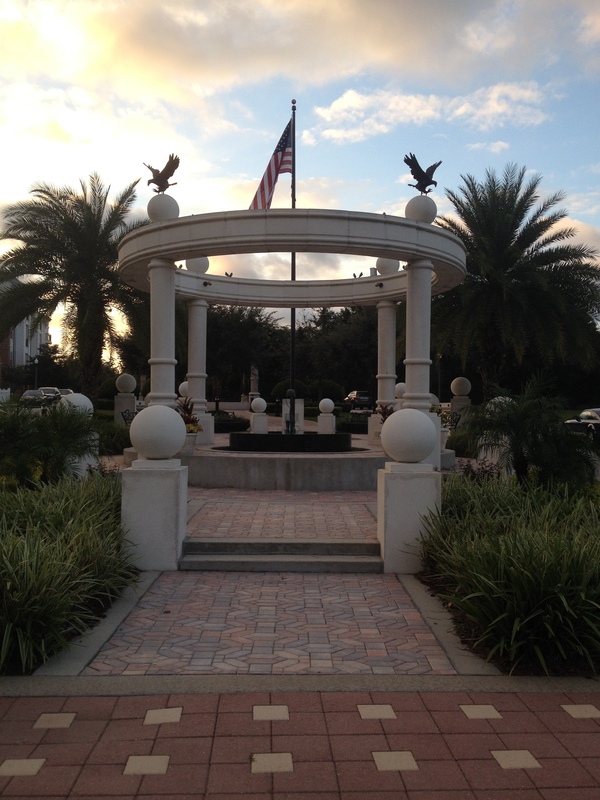 The Winter Springs Veterans Memorial, located at the corner of Tuskawilla Road and Blumberg Boulevard, was constructed by the City of Winter Springs along with the local Rotary Club. The monument is dedicated to all United States military veterans who lived and died serving their country during warfare. The centerpiece of the memorial is a pair of empty boots with a rifle placed in between and a soldier's helmet on top. The memorial represents the men and women from the Winter Springs community that have served in the military. The project was started by the Rotary Club and the City of Winter Springs in 2005 and was completed in 2008. Original digital color image by Daniel Fitzsimons, October 9, 2013, image number 0767. Originally created and owned by Daniel Fitzsimons. Copyright to this resource is held by Daniel Fitzsimons and is provided here by RICHES of Central Florida for educational purposes only. Colandreo, Chip. "Winter Springs Veterans Memorial: Annual Ceremony Creates Solumn Remembrance to Our Nation's Heroes." Oviedo-Winter Springs Life, November 02, 2011. http://www.lakemarylife.com/articles/winter-springs-veterans-memorial/. Fitzsimons, Daniel . 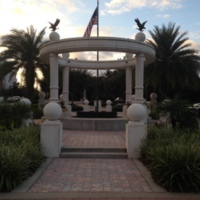 “Winter Springs Veterans Memorial.” RICHES of Central Florida accessed April 19, 2019, https://richesmi.cah.ucf.edu/omeka/items/show/2827.